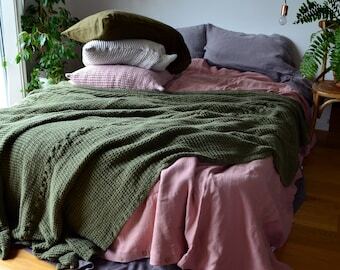 Please be aware, that all linens in our shop are handmade to order, which currently takes between 1 to 6 weeks due to a huge volume of orders. CORRESPONDENCE: WE WILL ATTEND TO ALL YOUR INQUIRIES WITHIN 2 TO 4 WORKING DAYS. Welcome to the House of Baltic Linen! 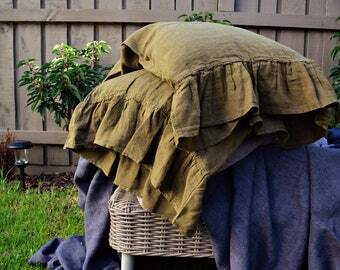 The House of Baltic linen is Australian family owned business specialising in handmade boutique natural linen home textiles and sleepwear. Our family came to Australia many years ago although the deep connection with our homeland has never been lost. These ties lay within linen, the noble fabric we are so passionate about. We wanted to promote the real European highest quality linen quality not only in Australia but all around the world. 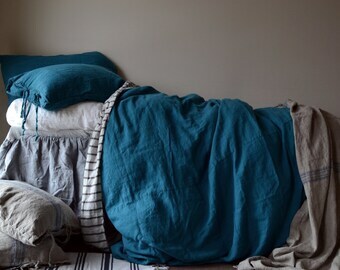 With years our handmade linens have gained recognition not only within Australia and New Zealand, but also in USA, Canada, Singapore, UK, France, Germany and many European Countries. Our own childhood memories are infused with delicate aroma of flax. Growing surrounded by beautiful linen things, hearing folk songs about linen our mums used to sing, we developed almost sacred relationship towards linen. All our designs are hand drawn by us, with real love and attention paid to each and every single detail, be it a little button or bespoke linen crochet. 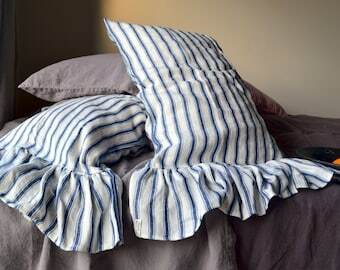 Our philosophy is simple: we want to create beautiful linens for home that will be cherished, that are timeless and will be passed from generation to generation. We wish to make the luxury of linen affordable to everyone who loves and appreciates it. The quality and exclusivity of our products are the highest priority for us, therefore we would never compromise it! 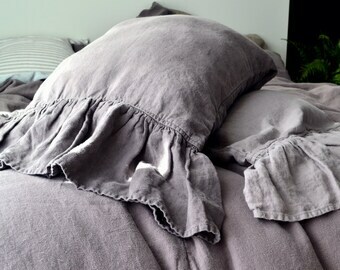 We ONLY use genuine European natural linen fabrics! All our products are designed by us in Australia and handmade with loving care exclusively in Lithuania and Australia, as we can only trust people with real expertise. Our linens are certified by Oeko-Tex 100 - worldwide independent organisation responsible for textiles ecology, which means no potentially harmful chemicals are used at any stages of linen making. Pure, simple, refined and elegant, vintage inspired designs pay tribute to everything we cherish about linen. 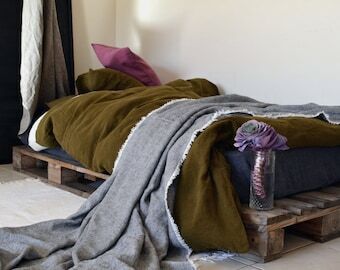 Olive Green Waffle Textured Natural Linen Blanket/ Oversized Linen Quilt / Bed cover/ Linen Throw Blanket. Super Heavy weight 100% linen. 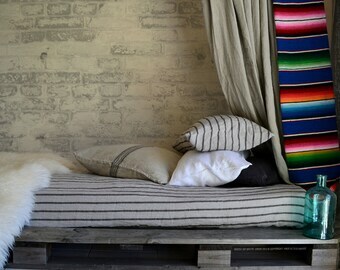 Luxurious off white stonewashed linen sleepwear. Women pyjama set. Midnight Blue linen women PJ's / pyjama set / pajamas. Limited Edition. Stonewashed Luxurious Linen. Beautiful pj's as usual! Thanks! Lovely. Great seller. Thank you. 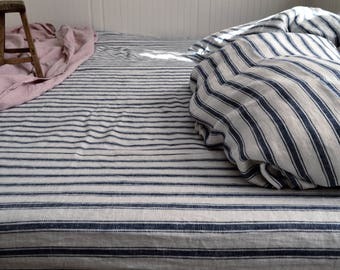 I love these sheets. Linen takes about 2-3 nights to get use to. the texture is quite different - but very addicting to your skin. 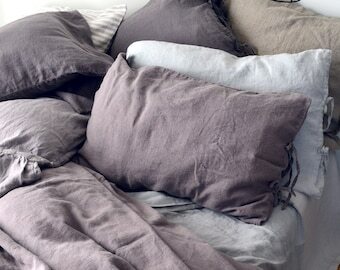 charcoal heavy weight rustic linen- most practical and tasteful bedding created to last an eternity. Will compliment any bedroom styly, be it rustic, modern or classic. 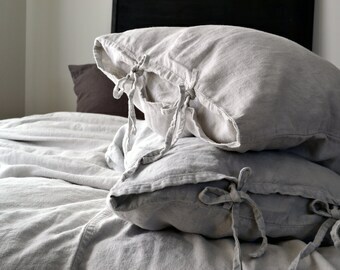 New Rustic linen bedding shades already available! 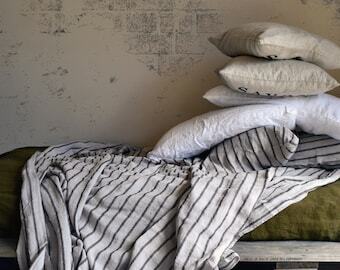 The House of Baltic Linen is a family owned company from Melbourne, Australia. Our family roots reach one of the oldest countries in Europe- Lithuania. Through our language and culture we are still able to maintain vital relationship with our motherland. Our own childhood memories are infused with delicate aroma of linen. Growing surrounded by beautiful linen things, hearing folk songs about linen our mums used to sing, we developed almost sacred relationship towards linen. 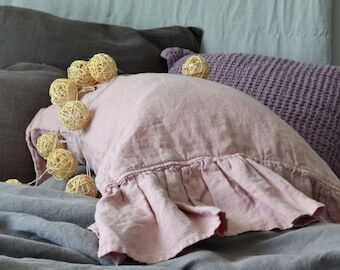 All our designs are hand drawn by us, with real love and attention paid to each and every single detail, be it a little button or delicate linen crochet. 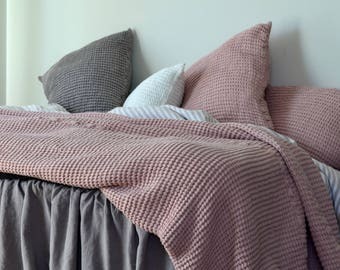 House of Baltic Linen is dedicated to create bespoke linen textiles for home that will be loved, cherished and passed from generation to generation. 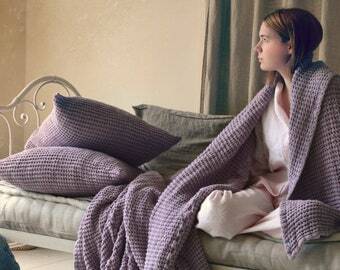 We wish to make the luxury of linen affordable to everyone who loves and appreciates it. The quality and exclusivity of our products are the highest priority for us, therefore we would never compromise it! 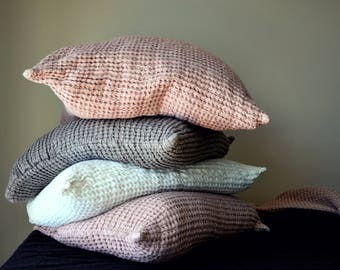 All our products are designed by House of Baltic Linen and made with loving care exclusively in Lithuania and Australia, as we can only trust people with real expertise. 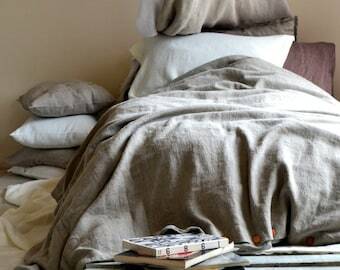 Being environmentally and ecologically conscious we believe that sustainability of our linens is the key, therefore we are very proud working with European linen manufacturers who are certified by Oeko-Tex 100 - worldwide independent organisation responsible for textiles ecology, which means no potentially harmful chemicals are used at any stages of linen making. Please do not hesitate to contact us anytime with your inquiries! Trusted team of professionals working with our linen is equipped with sound knowledge, skills and experience. European grown flax and European fabric weavers guarantee the highest quality of our linens, which are Oeko-100 certified. We only trust professionals with skills, expertise and knowledge of linen. Our linen is Oeko-Tex 100 certified, which guarantees no potentially harmful chemicals are used throughout the entire linen making process. It is very important, that origin of flax is genuinely European (grown and woven). 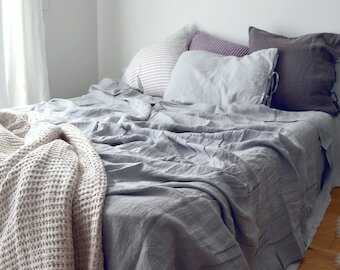 Welcome to the House of Baltic Linen. 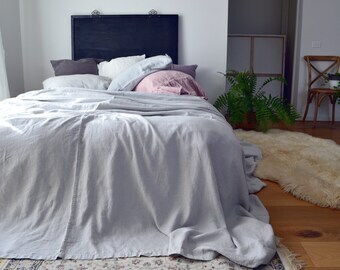 We love linen. 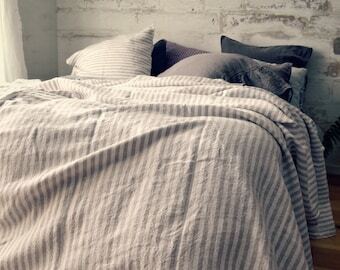 We believe in linen. We speak linen. Our childhood memories are infused with delicate aroma of linen. Growing surrounded by beautiful linen things, hearing folk songs about linen our mums used to sing, we developed almost sacred relationship towards linen. All our designs have been hand drawn by us, with real love and attention paid to each and every single detail, be it a little button or bespoke linen crochet. Our philosophy is simple: we want to create linen things for home that people will love, that are timeless and will be passed from generation to generation. 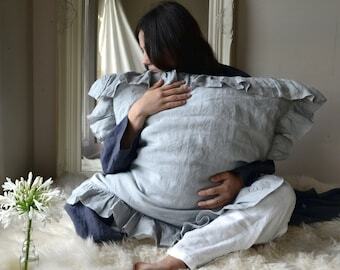 We wish to make the luxury of linen affordable to everyone who loves and appreciates linen. The quality and exclusivity of our products are the highest priority for us, therefore we would never compromise it! All our products are designed by us and made with loving care exclusively in Lithuania and Australia, as we can only trust people with real expertise. Enjoy your experience shopping at House of Baltic Linen. We do not accept cancelations, however if you change your mind, you may return your order for a refund within 7 days from receiving your parcel (please refer to Returns/Exchanges). 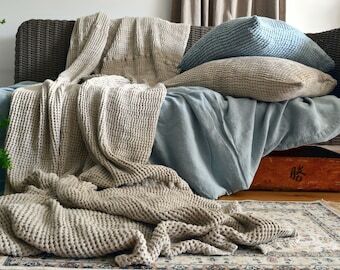 House of Baltic Linen would like you to feel confident in ordering online, so if you find your selection is not what you expected, unless it was YOUR CUSTOM ORDER, simply contact us within 5 days to arrange the exchange. The item(s) must be sent back to us within 7 days after you received your order. PLEASE NOTE: Exchanges will be given if the item is unused, unwashed and with all the labels intact. All items exchanged will incur an extra delivery charge. We will send an exchange item within 7 working days of receiving your parcel, unless the item you require is not in stock. You will need to arrange the return postage yourself and we suggest that you use a trackable delivery service to keep the proof of postage. Your parcel is your responsibility until it reaches us. Unfortunately, we can't accept liability for products that get lost or damaged in return transit. All custom orders are non-refundable, unless faulty, damaged or wrong size! Custom orders have been made just for you, so, please, make sure you are fully aware of your choice! We strongly advise you to purchase our fabric sample pack first (if you are unsure of the colour or texture) and agree on the design and size first prior to committing to place the order to avoid any misunderstanding. Also, please read your custom order description carefully and make sure you understand and agree with all the information given in the description. Faulty Goods can be returned with labels intact for an exchange or refund. If you find that item you received is not what you ordered, is faulty or damaged, please contact us with no delay! We'll send you the correct or new item or fully refund your purchase within 5 days of receiving your parcel and we'll also reimburse any costs you incur returning the goods. Unfortunately we may not be able to assist you, however, if the product has been used or washed. There are no refunds or exchange on sale items. Please note that we will cover postage costs only in case you return us the item subject to quality issues. Please pay for your item at checkout. If you need to defer your payment for longer than 3 days, convo or e-mail us and we can hold the item for you for a little longer! Your order will be packaged carefully and shipped after it has been made. Most of our items are made to order, therefore please allow between 1 to 4 weeks prior to dispatch. Some our products require much longer turnaround, which is never greater than 8 weeks. Turnaround times are given in "Shipping and Policies" section for each of our products, so please check those carefully. If you require quicker delivery, please do not hesitate to contact us prior placing the order. We will inform you when your order is ready to be dispatched. DOMESTIC SHIPPING: Your package will be shipped via Australian Parcel Post and will take from 1 to 7 days for delivery. INTERNATIONAL SHIPPING: All overseas buyers, if you are not sure about the shipping costs, or purchasing more than one item, please contact us before your purchase, so we can calculate the best delivery option for you. For all overseas shipment we use Australian Air Mail International, which is the cheapest option. Tracking is normally available for items over 2kg. Items with value over $100.00AUD will be shipped using Pack&Track postage, which includes tracking. Some smaller items will not be available for tracking using this method of shipment, but every item posted will have shipment ID number. INSURANCE is NOT INCLUDED into the shipment. Please contact us prior your purchase if you want to add insurance or wish to use different method of shipment (Express, Registered, Courier etc). Your package will be shipped to the address on your Etsy receipt unless otherwise noted. We take care in our packaging! Damage during shipment would be an extraordinary circumstance. If an item is lost or damaged during shipment we are not responsible, but will work with you to rectify the problem. If you wish to add insurance to shipping, you will have to let us know - it is not automatically included. Unfortunately we can NOT take a responsibility for custom duties and taxes charged in your country, nor do we carry this information. Please make sure you know what are the requirements for import in your own country! All custom orders are non-refundable, unless faulty, damaged or not the size you have ordered. We strongly advise you to ask for fabric sample (if you are unsure of the colour or texture) and agree on the design and size first prior to placing the order to avoid any misunderstanding. Custom order description provided by us is vitally important and you have to make sure you understand every single detail given in the description. If you are unsure or have any questions, please contact us immediately BEFORE committing to buy. We do not offer wholesale at this stage.